The Alpine Rescue Team is currently involved with raising funds for the “Colorado Mountain Rescue History Center”. To learn more about this project or to make a tax deductible donation towards this project, click here. Alpine Rescue Team has responded to wilderness emergencies since 1959: providing mountain search and rescue, day or night, 24/7. Always free to any individual or agency in need of our expertise and assistance. To postpone a call-for-help because of financial concerns could cost a life. The Team believes that all humanitarian wilderness search-and-rescue efforts, statewide, should be free to any individual. Along with the National Association for Search and Rescue (NASAR), both the statewide Colorado Search and Rescue Association and the Mountain Rescue Association, Rocky Mountain Region, have position statements concerning “Charging for Rescue”. Click here for more information. At a national level, Alpine Rescue Team meets the 2004 FEMA Standards as a Type 1 Mountain & Technical SAR Team. Alpine is one of only twelve mountain rescue teams in the state of Colorado that is fully accredited by the Mountain Rescue Association, an international organization of teams specializing in mountain search and rescue, and safety education. Alpine Rescue Team members are highly trained non-paid professional rescue-mountaineers based in Evergreen, Colorado. Support Colorado’s search and rescue community. 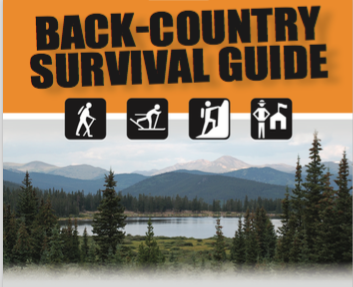 By purchasing a Colorado Outdoor Recreation Search and Rescue Card, County Sheriffs and Search and Rescue teams can be reimbursed for costs incurred on a mission. This card is not Insurance and does not pay for medical transport. The team relies upon the generous contributions of the community to fulfill its’ mission of saving lives through rescue and mountain safety education. We’d like to thank all of the individuals that have contributed over the years and offer a special acknowledgment to those corporate sponsors that help Alpine perform its’ mission and help to keep mountain rescue free of charge.